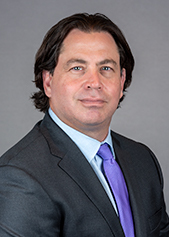 Stuart Goldstein is the Managing Partner of Cadwalader’s Charlotte office, co-chair of the firm’s Capital Markets Practice and a member of the firm’s Management Committee. Stuart concentrates his practice on structured finance, primarily commercial mortgage-backed and CRE CLO securitization transactions, structured mortgage loan participations and warehouse lending, as well as advising servicers and lenders in the workout and restructuring of securitized and other financial assets. In addition, Stuart has broad experience representing issuers and underwriters in both public and private offerings of RMBS, Corporate CLOs and other structured finance products. He also represents clients in the purchase and sale of commercial and multifamily mortgage loans, mezzanine debt, subordinate debt, and residential first and second mortgage loans (including FHA, VA, conventional, and manufactured housing) in whole loan and participation structures. In addition, he has extensive experience in secured lending and represents lenders in structuring and negotiating finance facilities. Stuart was chosen as a member of BTI Consulting Group’s Client Services All-Stars. The honor recognizes lawyers who “deliver outstanding legal skills enveloped in a rare combination of practical business knowledge, extraordinary attention to client needs and noteworthy responsiveness,” and who “instill a confidence and trust reserved only for the most valued and strategic business partners.” He was one of only 176 attorneys nationally recognized by BTI, and was designated as an “MVP” for being one of only 28 lawyers to be named for at least two consecutive years. Nominations for inclusion on the list are made by the clients themselves. Stuart received a B.S. from Cornell University and his J.D. from Boalt Hall School of Law at the University of California at Berkeley. He is admitted to practice in the States of New York and California and is a member of the American Bar Association and the New York State Bar Association. He was recently recognized by Best Lawyers in America as Lawyer of the Year in the area of Securitization and Structured Finance. He has also been recognized in Chambers USA, Who’s Who in America, Who’s Who in the East, Legal 500 and Who’s Who in American Law.